This is the maximum amount of tax privileged pension savings you can make each year. It is based on your earnings for the year and is capped at £40,000. Under a defined contribution (money purchase) scheme, this is simply the value of the contributions paid by you and your employer during a tax year. However, under a defined benefit (final salary) scheme it is the increase in the value of a member’s rights during the tax year. 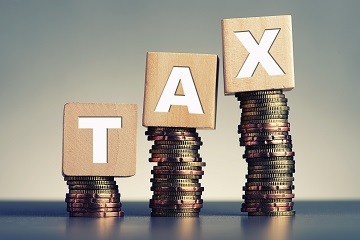 There is a tax charge on the amount of any contribution paid (by the member, employer or a 3rd party) in excess of the Annual Allowance each year. This charge is due on the value of the pension input amount that is in excess of the Annual Allowance plus any unused Annual Allowance carried forward from the previous three tax years or Money Purchase Annual Allowance (if applicable). The rate of charge is the same as the individual’s marginal rate of Income Tax. The annual rate of annuity can go down as well as up, as agreed at outset. The annuity can be paid after the pensioner’s death for a period agreed at the outset. There is no longer a requirement to have to purchase a lifetime annuity with pension savings. A Benefit Crystallisation Event (BCE) is essentially an action you normally instigate when you take benefits from your pension savings. The process tests the value of the benefits being crystallised against the Lifetime Allowance. If the value of benefits taken exceeds the Lifetime Allowance then the excess will be subject to the Lifetime Allowance Charge. It may be possible to reduce or completely avoid the Annual Allowance Charge using carry forward. 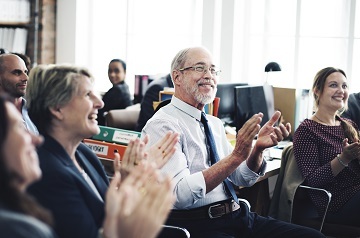 Carry forward allows unused Annual Allowance from the previous three tax years to be carried forward and added to the Annual Allowance for the current year. Please note, you must have been a member of a registered pension scheme in an earlier year if you are using carry forward and tax relief will only be available up to your annual income. There are a number of events that can cause a pension fund to become crystallised. One of which is the action of taking benefits from your pension savings, you crystallise benefits to bring them into payment or place them into drawdown. See Benefit Crystallisation Event. See Money Purchase, defined contribution is just another name for the same thing. Enhanced annuities are a growing part of the annuity market and because they take into account an individual’s personal health and lifestyle the income amount offered can be considerably bigger than non-enhanced or standard annuities. These limits only apply to capped drawdown set up before April 2015. Although it is possible to remain in capped drawdown after that date. Maximum income limits restrict the amount of income an individual could withdraw from their drawdown fund. The intention is to try and ensure that funds are not depleted and income is sustainable. Income limits permitted range from £0 to 150% of a figure calculated to be equivalent to a single life annuity for someone of the same age as the person taking drawdown. of continuing his or her current occupation and as a result of the ill-health ceases to carry on the occupation. There are separate criteria that must be met for all benefits to be paid as a serious ill-health lump sum. This is the maximum value of benefits that can be taken from pension schemes either as a lump sum or retirement income, without being subject to a Lifetime Allowance charge. 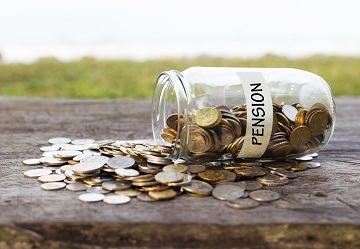 If you take or crystallise pension savings valued at more than £1,055,000 (2019/20) then the excess will be subject to a Lifetime Allowance charge. An individual may have a personal Lifetime Allowance that is greater than the standard £1,055,000 amount, if they have previously applied for, and been granted, protection by HMRC. Money Purchase is a type of funding method used in pension schemes, pension arrangements or pension plans. These types of scheme are also known as Defined Contribution. Essentially contributions are made into the scheme, by the individual, their employer or other parties. The funds accumulated are invested until the individual wishes to take benefits. The benefits are then provided via a number of possible options. See Retirement Options for details. In April 2015 there was a new Annual Allowance introduced called the Money Purchase Annual Allowance (MPAA). This is normally triggered by taking income from a flexi-access drawdown plan or using an uncrystallised funds pension lump sum. However, other actions can trigger it. If the MPAA has been triggered, only £4,000 can be paid to all defined contribution plans in any tax year before the Annual Allowance tax charge is applied. Accrual under a defined benefit arrangement is not tested against the MPAA but is of course included in a test against the standard Annual Allowance. Pension savings are called ‘pension input amounts’. The amount of pension savings under all arrangements and schemes (including defined benefits) of which an individual is a member counting for a tax year is the ‘total pension input’ amount. The amount is calculated by adding contributions made to money purchase arrangements and the value of further benefit accrual in defined benefits schemes. The value of further accrual in defined benefit schemes is calculated by multiplying the increase in benefits less inflation, by a factor of 16. The value of an individual’s pension input is measured over a period called a pension input period (this may not be the same as a tax year). These are money purchase pension funds that have not been crystallised. The main difference between crystallised and uncrystallised funds is that the former have been tested against the Lifetime Allowance, the latter have not, but will be at some future date.